I found out pretty useful tool which shows the chances of upgrading the gem on diablofuns website. 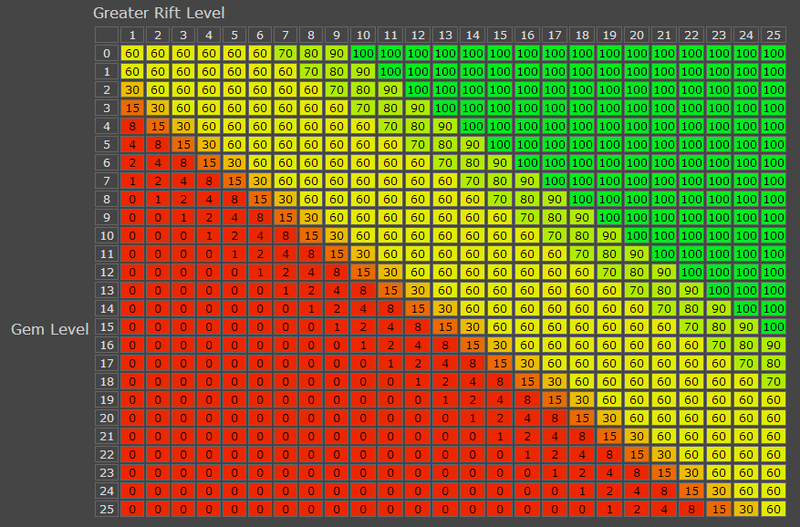 Here is the picture for levels 1-25. The chances remain the same for all levels.